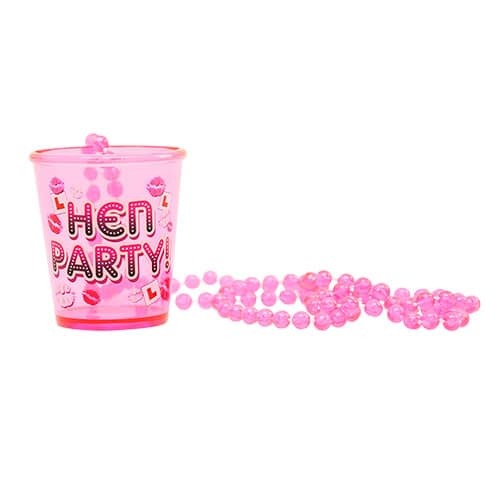 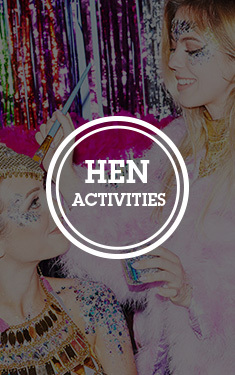 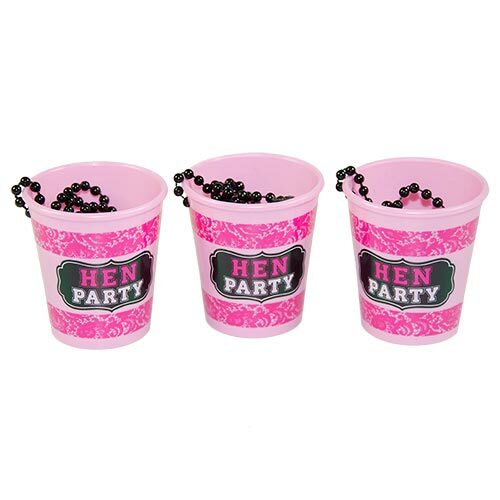 It may come as a surprise but rumour has it that some people drink shots on a hen night, I know, crazy. 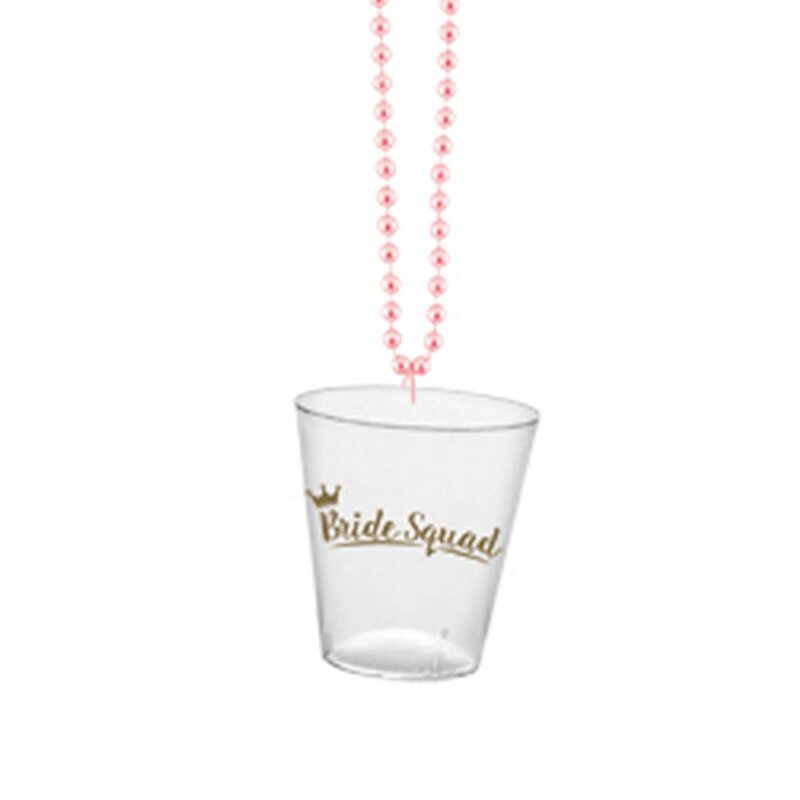 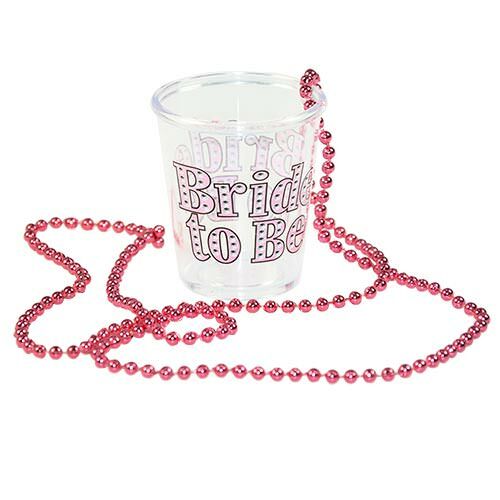 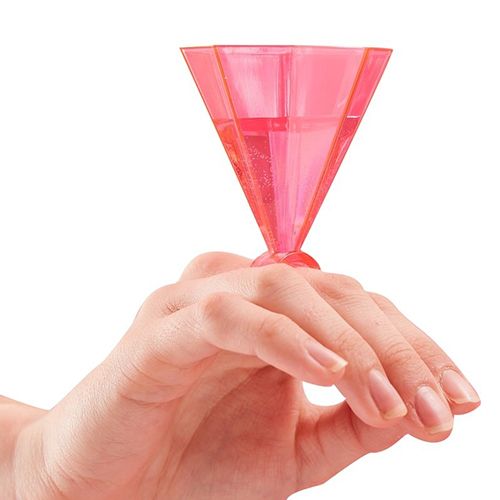 Give everyone in the group matching glasses with these fantastic Bride Squad shot glasses. 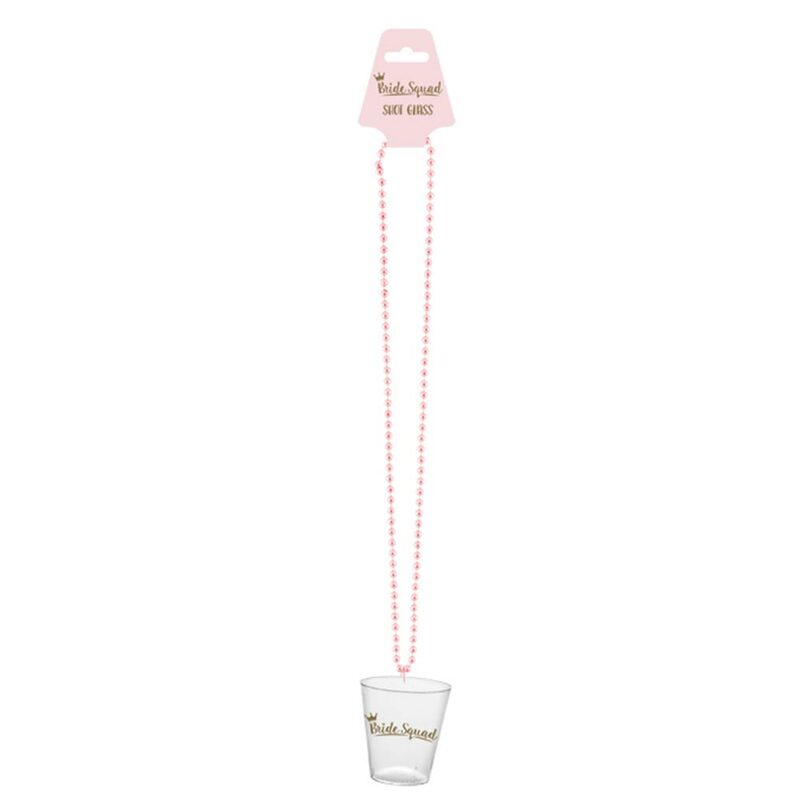 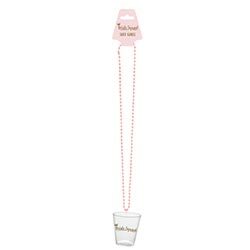 A clear plastic glass with a brilliant gold design and a baby pink plastic beaded necklace, it all makes these a really cute addition to your party. 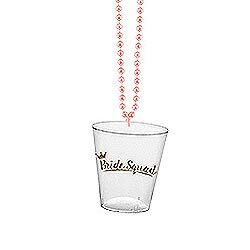 What makes this item even better is that it's part of the Bride Squad collection so you can make it part of a great theme, match this up with the sashes, gift bags and photo props to make a really eye catching look for your group.